Diana Holloway is a labour and employment lawyer in Hicks Morley’s Toronto office. She provides advice to employers and management in both the private and public sectors on labour, employment, and human rights issues. This includes litigation, labour disputes, grievance arbitrations, collective bargaining, and human rights and accommodation. Diana received her Juris Doctor from Queen’s University, and obtained a Diploma in International and European Law while on exchange to the University Jean Moulin, Lyon III in France. She is fluent in French and oral advocacy is her passion. In undergrad, she competed in numerous national and international debate tournaments, including the World Championships. 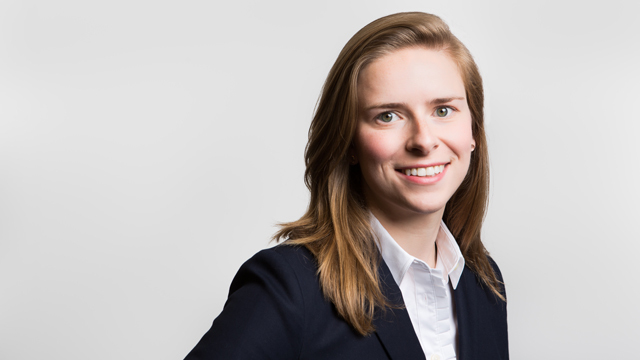 In law school, she represented Queen’s in the Jessup International Moot Court Competition twice – as an oralist (Canadian semi-finalist) and student coach (Canadian Champion).